The next screen is entitled “Here is What You Told Us.” It shows the information you entered and then shows a Preview Plans link. The next screen includes a cost estimator. 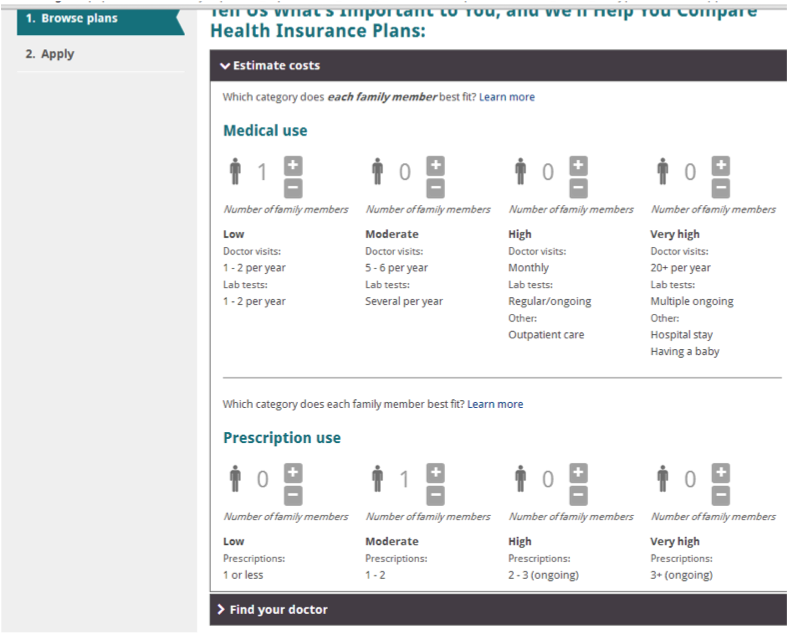 On this screen you identify the level of medical needs for yourself and those in your household. There is a link for you to browse for you doctors also. The next screen shows the plans and costs. The number of plans will vary, but there will be a sample of bronze, silver, gold and platinum plans for you to browse. 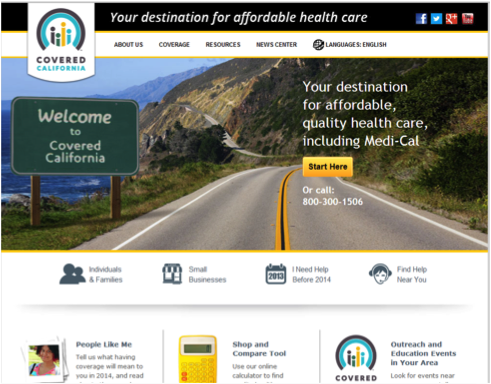 The premium costs are displayed, any reimbursement assistance that you qualify for, and a selection of plans. You can browse through all of the plans by selecting the ͢ [arrow] button. There is also a Favorites link at the top, so you can select the plans you want to examine further. 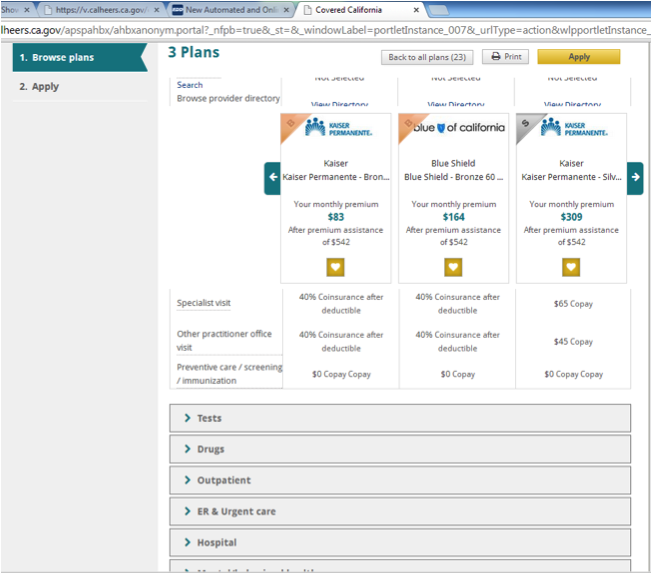 The screen will display up to four plans at a time. 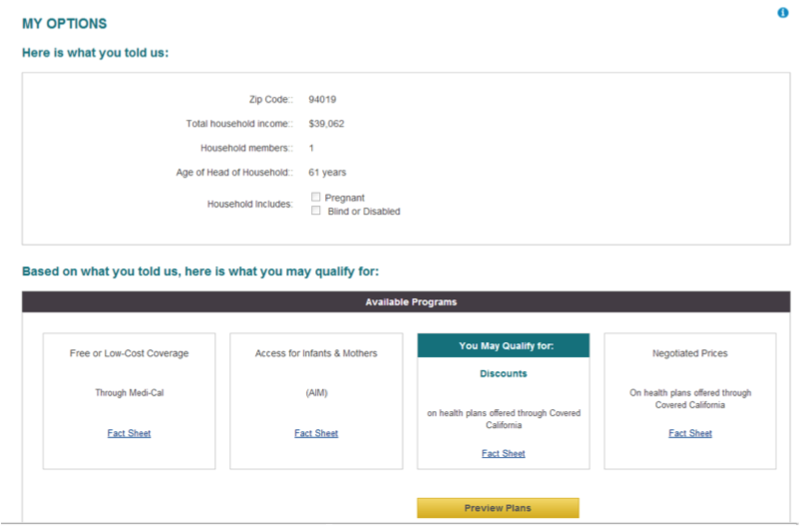 The > links allow you to expand each coverage item and compare costs (coinsurance or copays) for each plan. Try your options several times, just to make sure you are getting accurate information. We also have heard that the phone assistance is quite helpful. On occasion we could not get access, possibly due to traffic or maintenance going on, but this was not a huge problem for us. We did try exploring options on wifi/public systems, and the site was a little slow. We had better luck on our home networks.